Giacomo Casanova, one of Venice’s most famous sons and one of the most famous lovers of all time, wrote “The Story of My Life,” where the reader learns all about his adventures in the 18th century. How about you? What would “The Story of Your Life” include? Fun and adventures? Or stress and frustration? Let Monograms handle your Venice vacation details, and we assure you the Venice portion of your story will be full of fun and enjoyment-not stress and hassles! 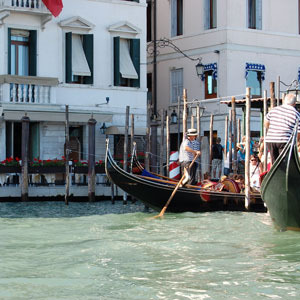 In fact, on this Venice trip, we’ve arranged your hotel reservations, sightseeing, and daily breakfast. Plus, we’ve arranged the services of a Monograms Local Host®, someone who is there throughout your Venice trip to answer questions, offer suggestions, and help ensure your vacation runs smoothly.